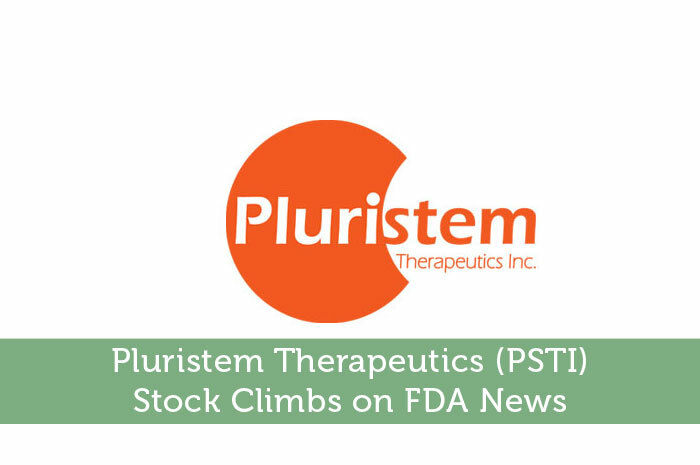 Pluristem is having an incredible day in the market today, defying the overall movement we’re seeing market wide. The gains we’re seeing today are for a very good reason. The company has received Orphan Drug Designation for a treatment in the pipeline. Today, we’ll talk about the Orphan Drug Designation, what it means for the company, how the market reacted to the news and what we can expect to see from PSTI moving forward. Pluristem has been working on a treatment known as PLX-PAD cells. The treatment is designed for severe preeclampsia, one of the most common complications of pregnancy. Preeclampsia is one of the leading causes of stillbirths, neonatal and maternal deaths as well as premature births. Unfortunately, there is no cure at the moment with the exception of early delivery. Because preeclampsia causes severe complications for the mother, the baby is generally promptly delivered, even if this means that the baby may suffer disabilities for a life time as a result. So, ultimately the goal here is to avoid having to deliver the baby immediately while avoiding harm to the mother. As we’ve learned throughout history, any time positive news is released with regard to a publicly traded company, we tend to see a positive reaction in the market as a result. That’s exactly what we’re seeing from PSTI in the market today as a result of the positive news. Currently, PSTI is trading at $1.14 per share after a gain of 15.15% so far today. Moving forward, I have an overwhelmingly positive opinion of what we can expect to see from PSTI moving forward. While the company is still in the clinical phase, the PLX-PAD cell is looking very promising. At this point, the company has reached a major landmark with regard to the Orphan Drug Designation. Now, we simply need to wait as clinical trials continue and this drug eventually hits the market. Because of the overwhelming need for the treatment, I’m expecting for it to be an incredibly profitable endeavor. Ultimately this will lead to PSTI gains in the long run. Where do you think PSTI is headed moving forward and why? Let us know your opinion in the comments below!